This is your chance to be a part of history. It’s a visit not to be missed with Spain’s most passionate supporters creating an electrifying atmosphere for the Rojiblancos and one you don’t want to miss. On the backs of the River Manzanares, the temperature never drops below boiling point and the fervent support is infectious – you can’t help but be swept along by the tide of emotion. And when Diego Simeone wants that more, he conducts the Calderon Orchestra from the touchline, urging you to give every last ounce of effort in supporting the team. This is one of world football’s great experiences and one you can’t afford to miss out on. And when it’s all over, you are in one of the most beautiful cities in the world. A cosmopolitan hub of people in the Spanish sunshine create a vibrant café culture and clubland in Madrid. Soak up the sun with a glass of wine and enjoy the many tourist attractions that Spain’s capital city has to offer. Atletico Madrid, formed in 1903, by Basque students living in Madrid. Initially playing in blue and white, they changed to the more familiar red and white striped shirts in 1911. They have worn them ever since. Atletico are Spain’s third most successful club behind Real Madrid and Barcelona. The club’s ‘Golden Age’ was from 1949 – 1966. In that time, they won 3 La Liga titles, 3 Copa Del Rey, as well as the European Cup Winners Cup in 1962. Atletico reached their first Champions Cup (now Champions League) final in 1974 but they lost in a replay – the only time a second match has ever been held – to the all-conquering Bayern Munich. With Bayern unwilling to play because of fixture congestion, Atletico took on Independiente and lifted the Intercontinental Cup to become official world club champions. Despite a La Liga title in 1977, it was a fallow time for Atletico. The bright spot was the La Liga / Copa Del Rey double in 1996 but four years later they were relegated to the Segunda Division amid allegations of corruption against owner Jesus Gil. The club bounced back and since the appointment of Diego Simeone has been a force to be reckoned with at home and in Europe. After Quique Sanchez Flores lifted the Europa League in 2010, Simeone repeated the feat in 2012, reaching the Champions League final in 2014. A crushing 4 – 1 defeat to Real Madrid doesn’t tell the whole story; Atleti led with barely a minute of stoppage time remaining. They never recovered from Sergio Ramos’ late equaliser and fell apart in extra time. Two years later, they once again pushed Real all the way but couldn’t stop another Champions League final defeat, this time on penalties after a 1 – 1 draw after extra time. Luis Aragones joined Atletico Madrid in 1964 from Real Betis but began his career with Real Madrid. He was known as dead ball specialist, nicknamed “Zapatones” (Big Boots). He stayed at the club until 1974 where he won La Liga three times, two Copa Del Rey and was a member of the losing 1974 Champions Cup final team. He went onto manage Atletico as well as the Spanish national team, winning Euro 2008. 17th May 2014, Nou Camp. Twelve months earlier, Atletico had gone to the Bernabeu and beaten Real Madrid in the Copa Del Rey final. Now they were heading to Catalunya, to face Barcelona knowing that anything but defeat would give them their first La Liga title in 18 years. Cesc Fabregas and Lionel Messi combined to find Alexis Sanchez who gave Barcelona the lead but Diego Godin equalised in the second half. A rearguard action for the final thirty minutes gave the capital’s second team the title in a fierce rival’s backyard. Select your Atletico Madrid fixtures from our events table above or our match menu. You can buy Atletico Madrid home tickets or Atletico Madrid away tickets. On the checkout page please login with your user information or select checkout as a guest and fill in your personal information then press ‘Next’. 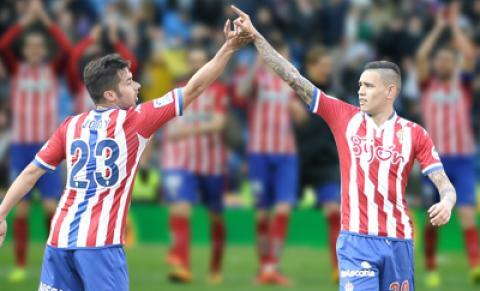 In the review your order page you will be able to review Atletico de Madrid tickets that you have ordered and the total price you will be paying in the next stage if you have been given a coupon or discount code, enter this in the box and click “apply”. The final Atletico Madrid ticket prices will be calculated and then click “Proceed to payment”. There are no hidden fees or costs and the total price you see is what you will pay for Atletico Madrid tickets. After clicking “Proceed to payment” you will be redirected to our highly secure payment page where you should enter your payment details and process the payment. After payment is successfully processed you will be redirected back to our site and you will receive a confirmation message. An email with your Atletico tickets order details will be sent to the email address you have provided during your registration.